Volume 16 of "Advances in Motivation and Achievement" is presented in two books. In both books, leading researchers in the field review the current state of the knowledge in their respective sub-disciplines and offer their prognostications about where the research is likely to proceed in the decade ahead. 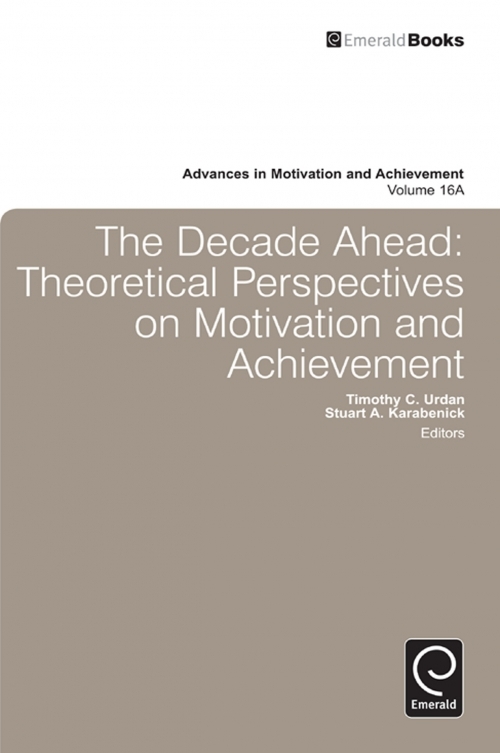 In this book, Volume 16A, seven prominent theories of motivation are examined, including research on self-efficacy, achievement goal theory, expectancy-value theory, self-determination theory, self-concept research, implicit motives, and interest. In the second book, Volume 16B, chapters examining the associations between motivation and other constructs, such as emotion and self-regulation, are presented. In addition, Volume 16B includes chapters examining sociocultural approaches to the study of motivation, the motivation of African American students and teachers' motivation, the application of motivation research in classrooms, and the policy implications of motivation research. By providing chapters that both summarize and look forward, the two books in this volume offer a useful roadmap for the future of motivation research in a variety of areas. List of Contributors. Preface. Self-efficacy in educational settings: Recent research and emerging directions. Expectancy-value theory: retrospective and prospective. Up around the bend: Forecasts for achievement goal theory and research in 2020. The development of the five mini-theories of self-determination theory: an historical overview, emerging trends, and future directions. Self-concept as persons' understanding and evaluation of their own actions and experiences: looking backward and forward from where we are. Implicit motives: Current topics and future directions. Interest in the dynamics of task behavior: processes that link person and task in effective learning. Advances in Motivation and Achievement. Advances in Motivation and Achievement. Copyright page. Dedication.